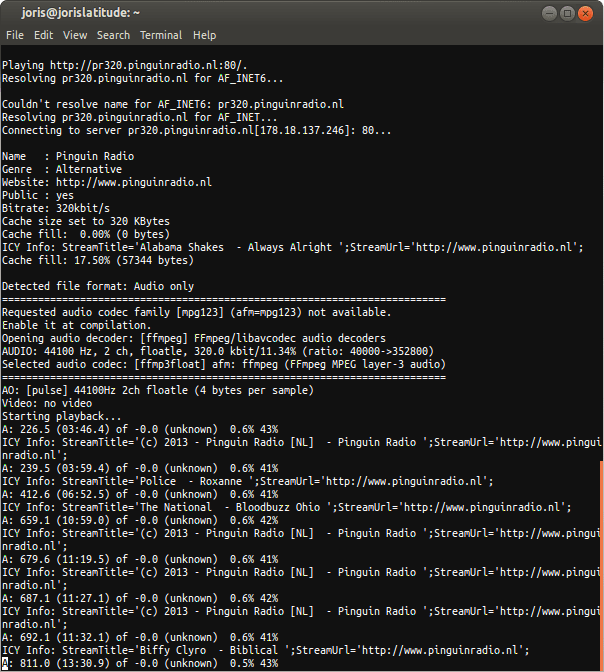 Okay, so this might be a tad geeky, but I dislike overhead when I’m working on my work laptop.. And since I couldn’t find a streaming music player with a low memory footprint I loved this mplayer solution which can play your internet streams via a bash terminal. And it will update the stream title through the console so you can still see which artist and song are playing! A thing of beauty, isn’t it! ?